Internet and phones are down on the island again today, including 911 service. I heard from Mike at Rockisland.com that there is a fiber cut at Argyle / Pear Point intersection. This has severed Long Distance, DSL, and Cellular services for San Juan Island. I just talked with Steve Marler at the site and he said he was told service should be back up inside of 4 hours, and that’s the Murphy’s Law estimate, hopefully it will be much sooner than that. UPDATE: 12 pair fiber to Turn Point cut, 48 pair to Bailer Hill cut. Just came back from site and 2 of 6 necessary fibers have been spliced (for the mainland link). Clink CO will verify light levels and hopefully the splices are good. ETA for mainland restoration may be another hour or 2. A phone cable cut on San Juan Island has knocked San Juan County’s 911 emergency phone service off line outside of San Juan Island at approximately 1:45 p.m. today. Individuals needing emergency response on Orcas should try 911 first. If the call does not go through, call Orcas Fire at: 376-2331. Residents of Lopez Island should call their local fire station at: 468-2991. 911 service is still operational on most of San Juan Island. A fiber cable on San Juan Island has been cut by an outside contractor, which is affecting CenturyLink services throughout the Islands. 911 services are impacted. It is CenturyLink’s priority to restore 911 services as soon as possible, as customer safety is our priority. In the event of an emergency, residents on San Juan Island should go to the Friday Harbor Fire Department at 1011 Mullis St, Friday Harbor, residents on Lopez Island are instructed to go to the Lopez Fire Station at 2228 Fisherman Bay Rd in Lopez Village. Residents on Orcas Island should go to the Orcas Island Fire District at the fire station located at 45 Lavender Lane, Eastsound. 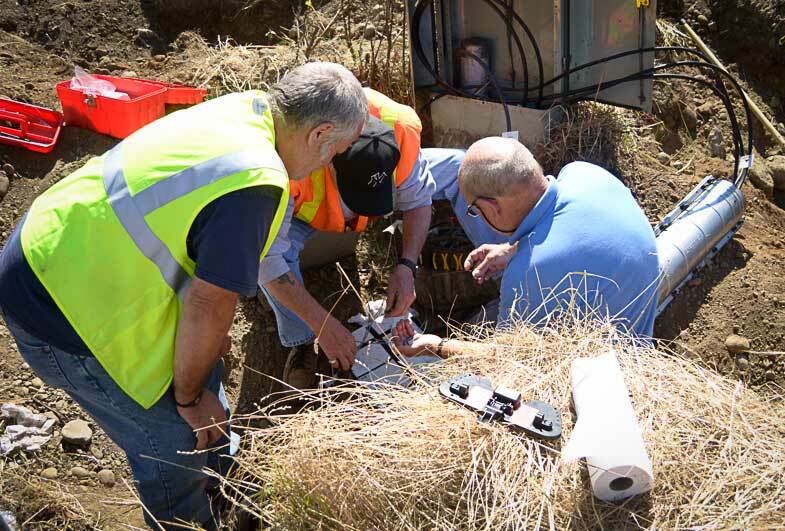 CenturyLink technicians are on site working to repair residential and business services impacted by the fiber cut. They will continue to work around the clock if necessary to restore services. We apologize for any inconvenience this has created for our customers.